"'av you got a wok?? It's one of those Oriental, sort of conical pans." After photo. This dish, devoured by your guests. Add garlic, yellow onion, and ginger to wok. Cook until tender -- just before the onions start to turn brown. Toss in the carrots, chili pepper, and the spices. Let simmer for another couple of minutes. 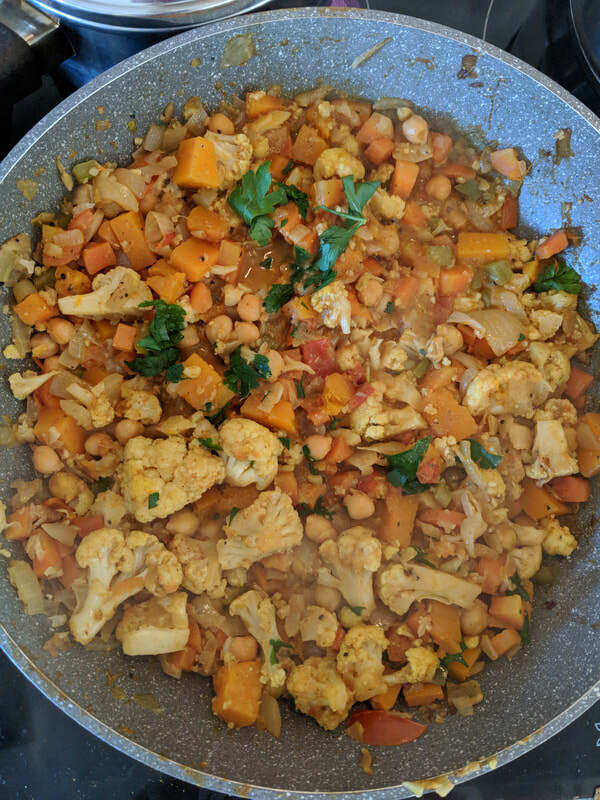 Mix in the cauliflower, squash, to-MAY-toes, and green pepper. Pour the coconut milk into the wok and bring to a boil, stirring occasionally. 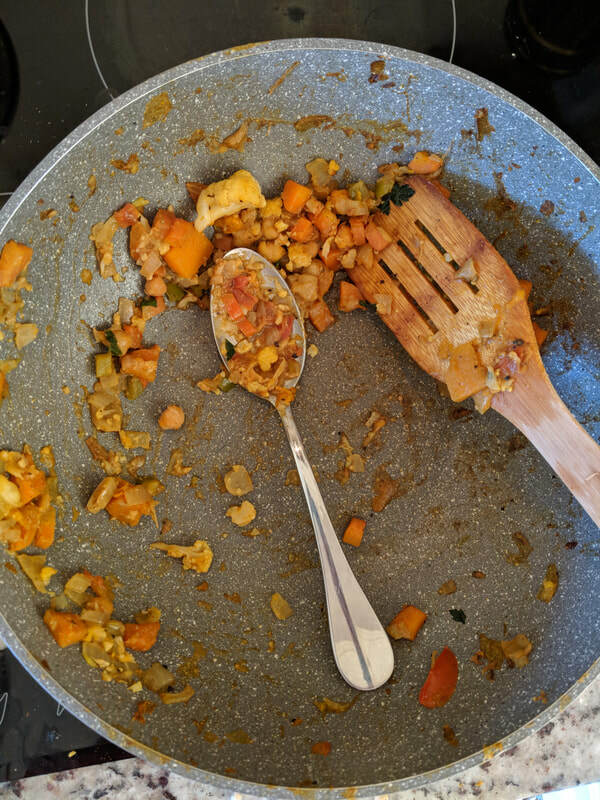 Reduce heat to medium, cover the wok, and let simmer and enjoy the glorious fragrances of curry and coconut filling your kitchen. 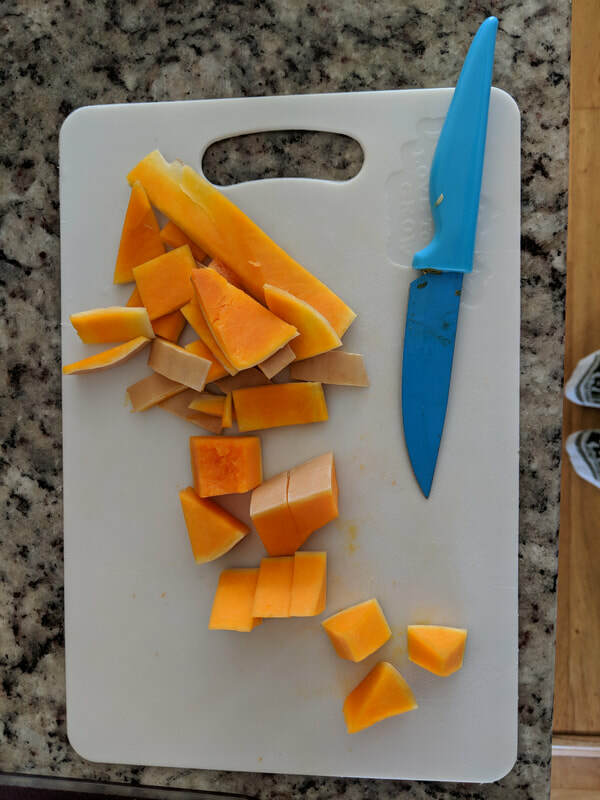 After 30 minutes, check the texture of the squash. If it is still too firm for your liking, let simmer for another 10, checking every now and again until it reaches the desired texture for your palate. 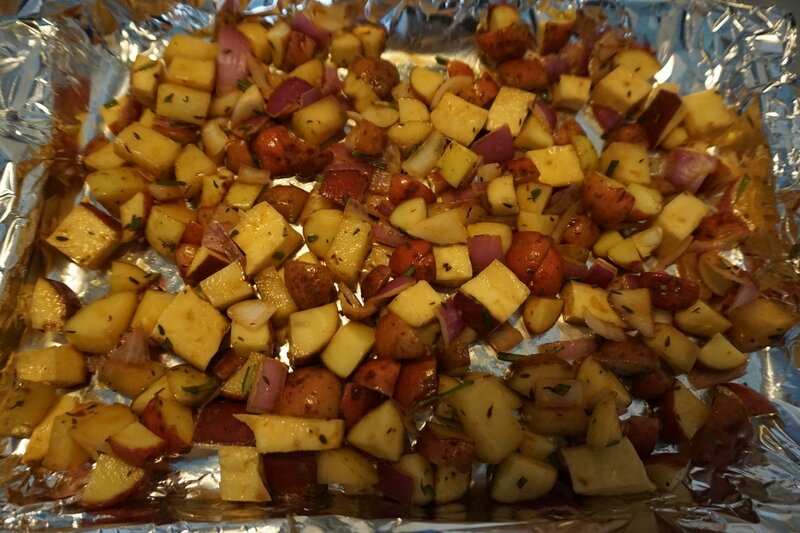 Once the veggies are at their peak texture and color, remove from heat, and add the parsley as a garnish. 2 lbs Brussels Sprouts, washed, and quartered. 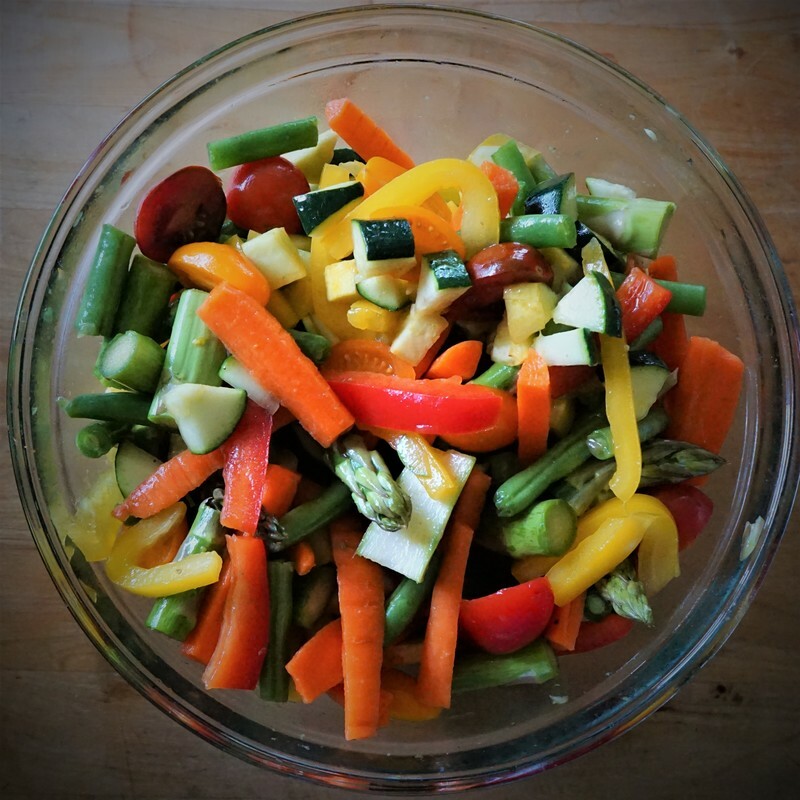 Add vegetables to a large bowl with the oil, and the spices for coating. 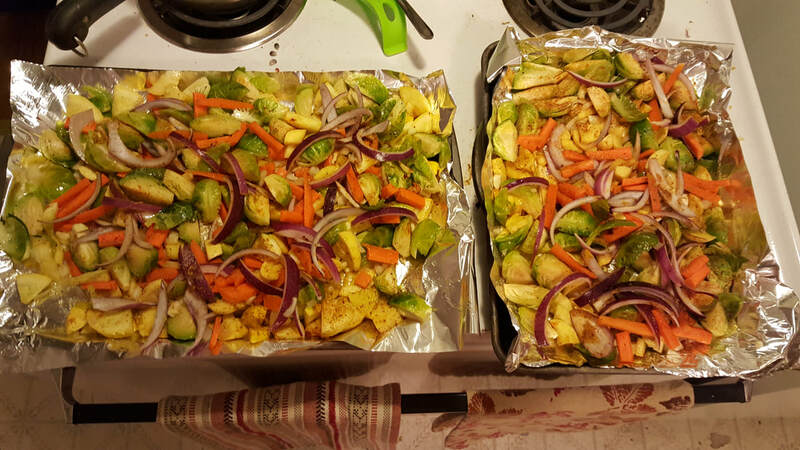 Evenly spread the coated vegetables on a baking sheet that has been covered with aluminum foil. Place in the oven on the middle rack. 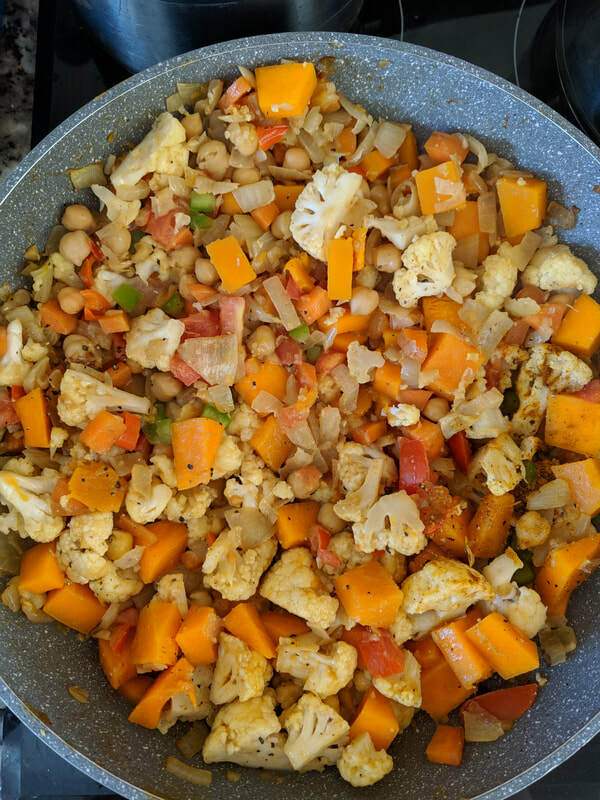 Let cook for 30 minutes, then turn vegetables to allow them to cook uniformly. Cook for another 15 minutes, or until their texture is slightly crisp. 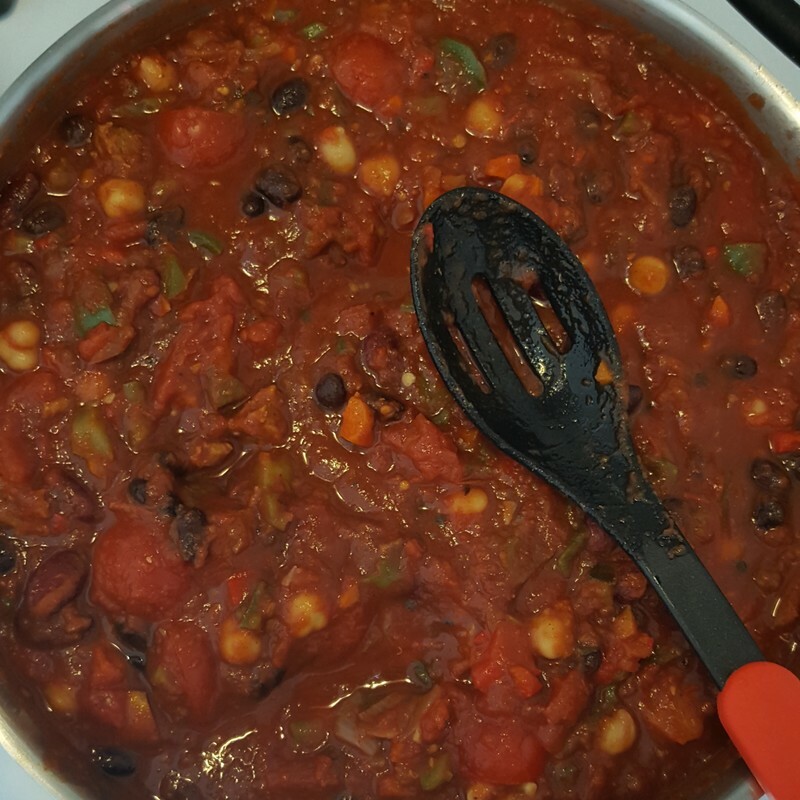 Veggie Bean Chili: The only chili recipe you'll ever need. This chili is spice level 3.5/5 stars -- extra medium, if you will. Please adjust the spices to suit your palate. The dish is perfectly suited for a main course over white rice, as a side dish for dipping, or *even* enjoyed as a midnight snack, because, why not?! Heat the olive oil in a large pot over medium heat. Stir in the onion, half of the garlic, half of the carrots and season with bay leaves, cumin, oregano, and salt. Cook and stir until veggies are tender, but before the onion starts to brown, then mix in the celery, sweet bell peppers, jalapeno peppers, garlic, and green chile peppers. When vegetables are heated through, mix in the vegetarian ground "meat" crumbles [optional]. Reduce heat to low, cover pot, and simmer 5 minutes. Don't forget to taste as you go! It's okay to let this simmer for a couple hours on a very low temp -- it will fill your home with a lovely aroma! Don't forget to clean-up as you go! ​This is a twist on calead910's allrecipes.com recipe posted on 24 June 2004. I discovered this dish at the food bar at PCC - Columbia City. After trying it one evening, I decided it would be an excellent addition to the menu for the Autumn Equinox celebration. This soft dish can be served cold, warm, or at room temperature. 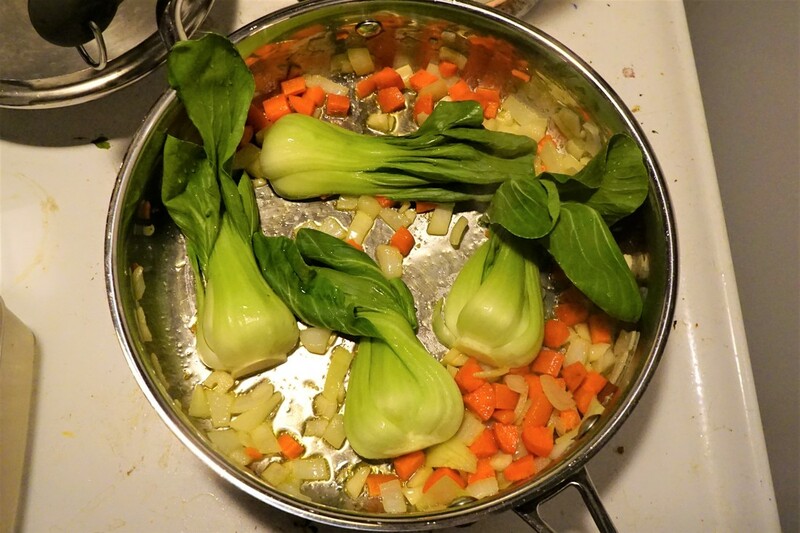 Bring vegetable stock to a rolling boil in a saucepan, reduce heat to low, and stir in quinoa. Cover pan and simmer until quinoa absorbs the liquid, about 15-20 minutes (a little quicker than white rice). Remove from heat. Heat olive oil in a large skillet over medium heat. 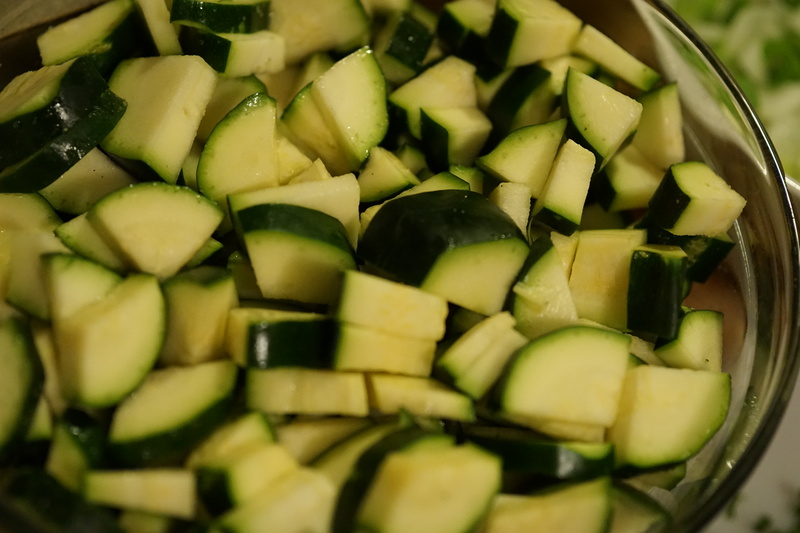 Cook and stir butternut squash and zucchini in the hot oil until slightly browned, about 10 minutes. Stir quinoa into the vegetables and gently mix green onions, and parsley into the stuffing. Drizzle with lime juice to taste. Click your heels twice together to complete the magic. Enjoy as a snack, side dish, or as a main entree. If the recipe turns out bland, continue to add salt and pepper to the mix to suit your palate. New squash soup recipe. Found it on the interwebs. It is gosh dang delicious! Add coconut milk, vegetable broth, and chili garlic paste. Taste and adjust seasonings, adding more curry powder, salt, or chili paste as needed. Continue cooking for a few more minutes over medium heat. Store leftovers covered in the refrigerator for 3-4 days or in the freezer up to 1 month. Best when fresh and with a loaf of hearty bread and/or multi-grain flax seed nut thins crackers! Make a lot of this soup, freeze it, then enjoy it year-round! Visit these sites to learn more about a meat-free and poultry-free diets.